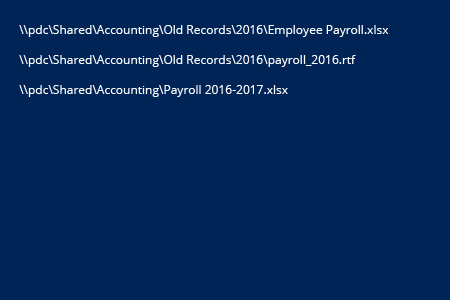 Specify the name of file in question ($filename) and directory or folder ($searchinfolder) to search in. 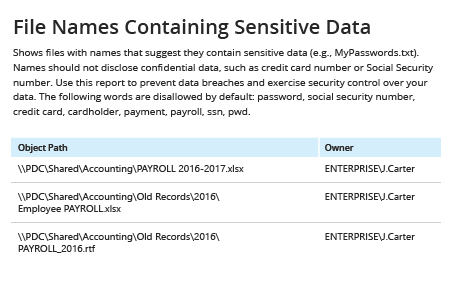 Run Netwrix Auditor → Navigate to "Reports" → Open "User Behavior and Blind Spot Analysis" → Go to "Information Disclosure" → Select "File Names Containing Sensitive Data" → Click "View". To save the report, click the "Export" button → Select a format, such as PDF → Click "Save as" → Choose a location to save it. IT pros often have to perform routine file management tasks such as finding data and then moving or deleting it. 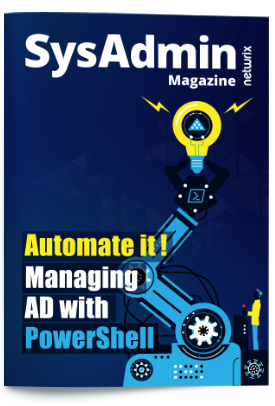 With manual methods, these tasks take up a lot of time, so you might want to automate them with Windows PowerShell scripts and commands. For instance, the PowerShell script provided above enables you to find all files on your share that have a particular word in their name by using the Get-ChildItem cmdlet. Would you rather just open a prebuilt report to check if file exists inside the folder? Try Netwrix Auditor for Windows File Servers. It’s easier — and you’ll get a lot more data. In addition to the object paths, you’ll see the file ownership details, the activity trail around the files and the user access permissions.